Well, it’s Labor Day. The unofficial end of summer. Goodbye, swimming pool. Goodbye, barbecues. Goodbye, beach time. And most monumentally: Goodbye, summer break. On the other hand, hello to seeing your friends every day. Hello to new beginnings. Hello to your favorite clubs and sports. And hello, Kidsmomo sweepstakes! To celebrate the start of a new school year (or to soften the blow, depending on how you look at it), we’re hosting a Back-to-School Book Giveaway! With this new pack of books in your bag, you’re sure to be the envy of all your friends, frenemies, actual enemies, and most importantly, your crushes! 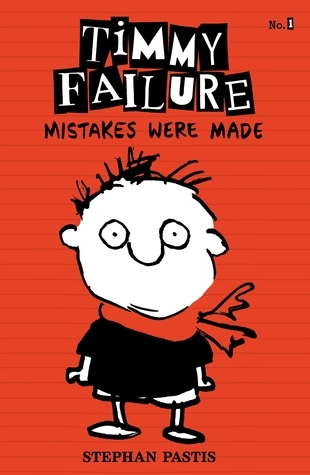 Well, maybe not… But we’ve still got a big pack of awesome books to give away! This sweepstakes is now closed. See official rules. Imagine you’re living with your grandmother for the summer — but she’s not the awesome kind of grandma who bakes you cookies every day and always wants to give you hugs and presents. No, you have to live with a grandmother who wants you to behave “properly” all the time and even give up your favorite activities (like skateboarding) if she doesn’t deem them acceptable. 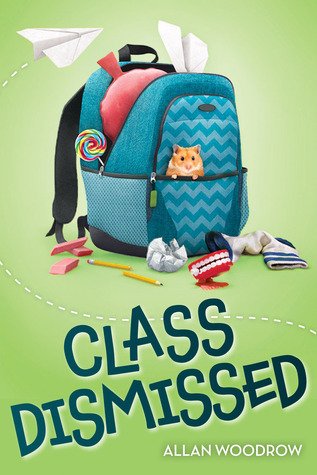 If you’re anything like AJ, the main character in The Classy Crooks Club by Alison Cherry, then that sounds like just about the worst summer ever. And at the beginning, it is. 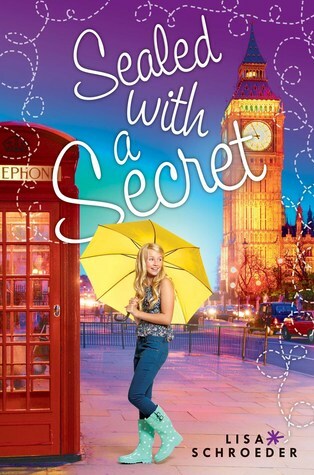 But then AJ discovers something shocking about her grandmother and the other elderly women who come to visit on a regular basis: They’re actually a heist club, intent on “liberating” other people’s possessions for their own motives. The Classy Crooks Club is a really fun read. 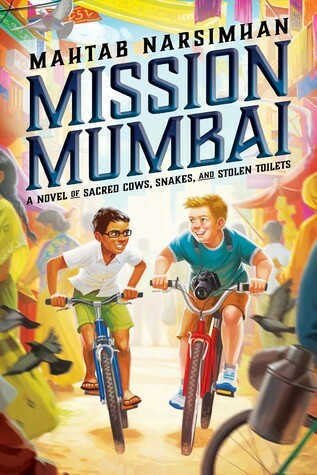 Overall, it’s a light-hearted caper with some definite suspense. But besides AJ’s training as a thief — ahem, “liberator” — there’s also a storyline about AJ’s misunderstandings with her best friend, which we can all identify with. In other words: something for everyone! 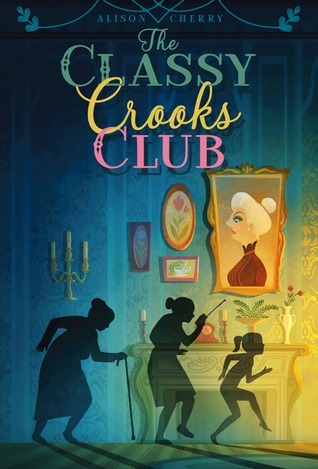 We’ve read books where kids organize heists, but we’ve never seen a story about a group of old ladies who run a heist club — until now! Where did you get the idea for this book? I often get ideas for books that have way too many moving parts and need to be split in half or don’t have nearly enough content and need to be combined. This book was an example of the first. 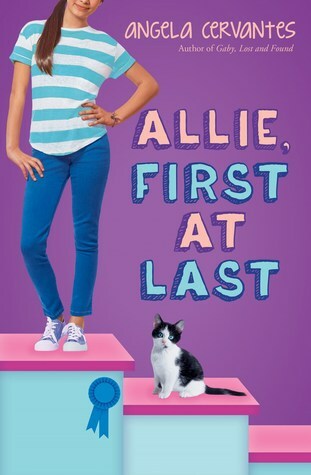 My original idea was to write an epistolary novel between a girl at sleepaway camp and her best friend, who was living with her super-strict grandma for the summer and having a horrible time. I spent a weekend with some friends as that idea was percolating, and when someone said the words “old lady” and “pirate” in the same sentence, I suddenly thought, oh my god, what if the strict grandmother were a pirate?? But that didn’t seem quite right — I couldn’t see her on a ship — so I ended up making her a thief on dry land instead. That new twist gave me so many ideas for the grandmother story that I abandoned the epistolary plan altogether, and the sleepaway camp story became its own book. 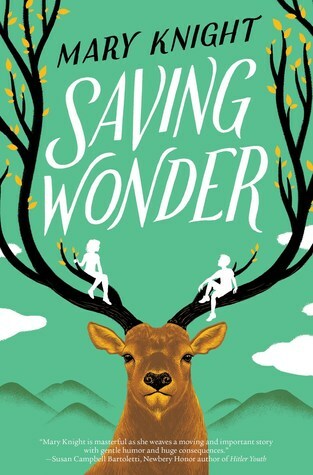 It’s called WILLOWS VS. WOLVERINES, and it comes out next year! If you were going to “liberate” an item from someone else’s possession, what would it be? We have to ask: In the book, AJ has a fear of birds based on a traumatic run-in with a swan as a child. Did anything similar happen to you? Nope! I actually like birds a lot, including swans — The Trumpet of the Swan was my favorite book as a kid. My only traumatic childhood run-in that still affects me today was with the movie E.T. I saw it when I was in kindergarten, and it terrified me so much that I still picture the scary scenes in great detail, despite not having seen it in almost 30 years. I guarantee I will never watch it again. 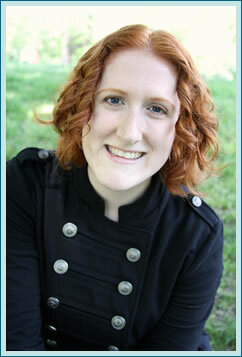 Enter for a chance to win a signed copy of The Classy Crooks Club by Alison Cherry! Enter before May 1st! See official rules. Review copy and prizing provided by the author. Most people don’t enjoy going to the dentist, but it has to be done. Having your teeth checked by a professional is very important for your health, and your dentist just wants the best for you. But what if there was real reason to be genuinely afraid of your dentist? 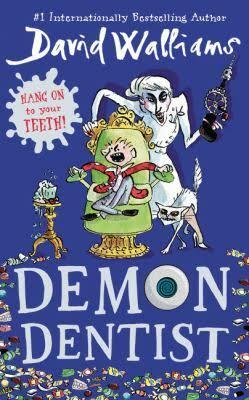 As you might have guessed from the title — in Demon Dentist by David Walliams, the new dentist in Alfie’s town is seriously creepy. Miss Root insists that children call her “Mummy,” and the toothpaste she passes out is deadly toxic. This is bad news for Alfie, who loves sweets and hasn’t gone to the dentist in years. Alfie finds himself the target of a high medium speed chase from a moped. Alfie concocts outlandish excuses for missing his dentist appointment — we’ve all been there, right? The author uses made-up words that make perfect sense. Someone eats too many coffee-flavored sweets, leading to some intense tummy rumbling and an uncomfortable dash to the toilet. One of my favorite parts of the book are the illustrations by Tony Ross. 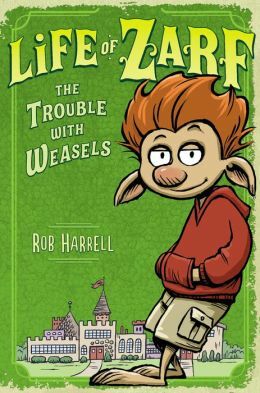 The ludicrous humor of the story combined with the drawings will remind readers of the legendary pairing of Roald Dahl and Quentin Blake, which is not a bad comparison to have! Demon Dentist has been available for a while in other countries, but now it’s finally available in the United States! 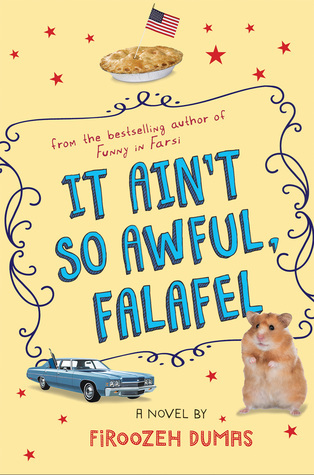 If you’ve read it, leave a comment below — and if not, enter the sweepstakes for a chance to win a SIGNED copy and more! Nancy actually does enjoy visiting the dentist, but as established a long time ago: she’s a super weird. 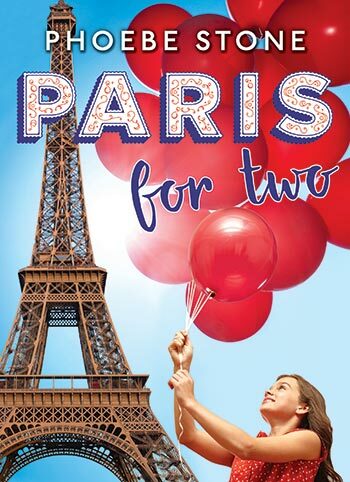 Well, now we’re partnering with the same author for another sweepstakes. 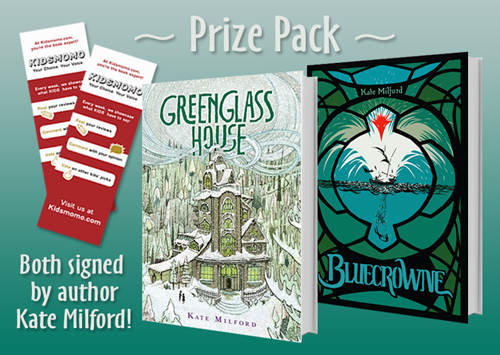 This time, author Kate Milford is offering signed copies of her two latest books: Greenglass House and Bluecrowne! 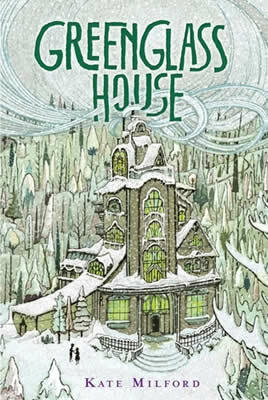 Greenglass House is a perfect read for the holiday season because it takes place in the days leading up to Christmas. Lots of wonderful descriptions of hot chocolate and baked treats. But also, it’s a quiet but gripping mystery — think The Westing Game set in a snow-nestled inn. Usually the hotel is empty around Christmas, but this year a bunch of brand new guests all arrive on the same night. 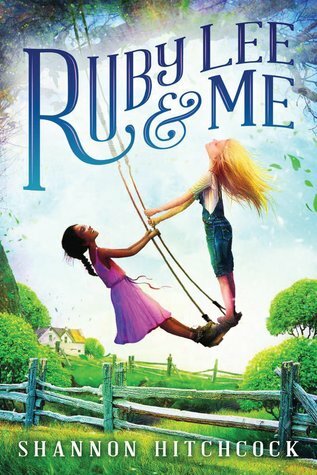 When people’s belongings start to go missing, it’s up to to Milo (whose parents own Greenglass House) and Meddy (the cook’s daughter) to get to the bottom of the peculiar connections that bring these strangers to the inn. 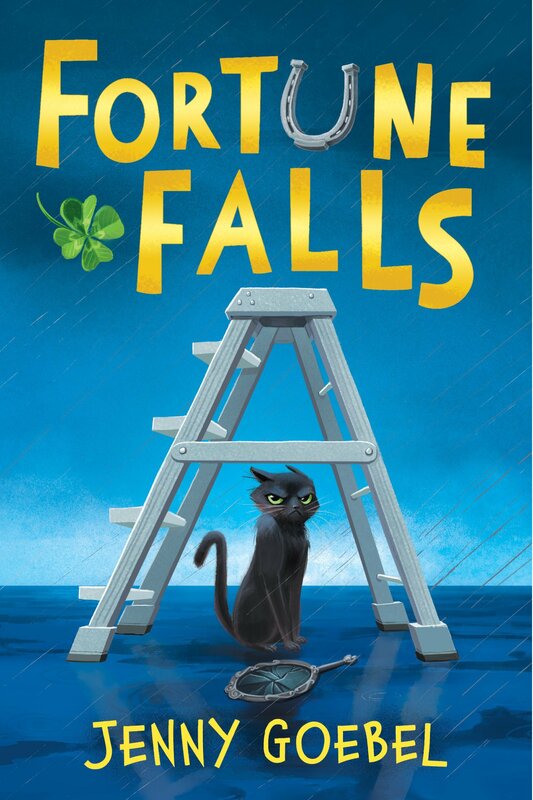 Some readers may be new to the stories that connect Greenglass House with Bluecrowne and your other books. What would you say to those new readers? Greenglass House is a delightful book to read at any time of year, but it’s a special joy to read it now, during the winter holiday season. But the Christmas timing doesn’t seem completely pivotal to the plot of the book. 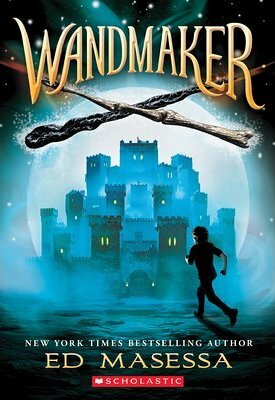 What made you decide to set the book around the holidays? Kate: Well, you’re right in that I didn’t set out to exactly write a “Christmas book,” but I definitely did want to write a winter book. I love winter, always have, and Christmas was and remains a big deal in my family — a lot of the traditions of Milo’s family are lifted from my own. 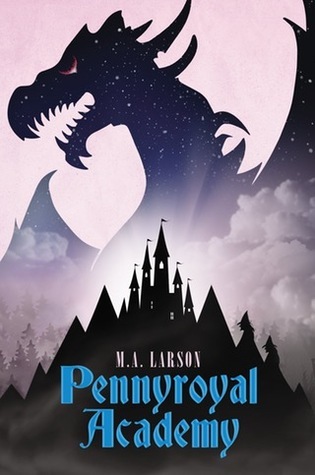 When I made the decision to set this book in winter, it just made sense to me to set Greenglass House in the days leading up to Christmas, particularly since it goes a long way toward making things as completely inconvenient for Milo as possible. In Greenglass House, Milo and Meddy play a role-playing game called Odd Trails. If you were playing, what kind of character would you be? Kate: Oh, man. So I have limited RPG experience, but I like to play rogues, which in Odd Trails would translate to blackjacks. I like tricksters, which is maybe something you can tell if you’ve read The Boneshaker or The Broken Lands. Right now I’m in the middle of a D&D game with my husband and some friends, and I’m playing a rogue, but she’s a really bad rogue. Like, really ineffectual, I mean, and not because I decided to make her that way. I just have really bad luck with this character. In tabletop games, you decide what your’e going to do and then you roll dice to determine how successful you are. I just consistently roll so poorly. There was a memorable instance a couple weeks ago when my poor rogue walked into a rake, Wyle E. Coyote style. On the other hand, in real life I actually can pick locks, sort of, and while I am clumsy as all get-out, I have never actually walked into a rake. Enter before December 31st, 2014. See official rules. Yesterday probably seemed like a normal day to most people. Just another Tuesday. But most people don’t know anything and anything because yesterday was actually a momentous day: the official release of The Blood of Olympus! That’s right! 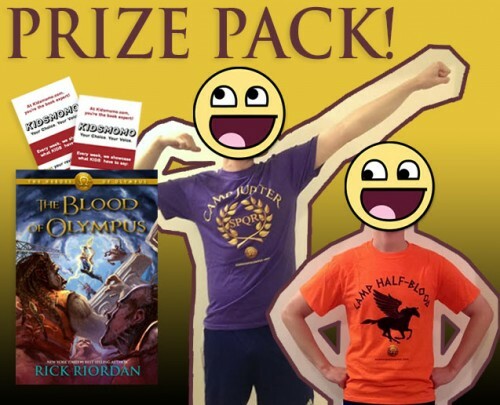 The final book in Rick Riordan’s Heroes of Olympus series is finally here!!!!!!!!!!!!! Will the crew of the Argo II defeat Gaea? Can the war between Camp Jupiter and Camp Half-Blood be stopped? Will the gods recover from their split personality disorder? And after all they’ve been through, will Percy and Annabeth finally get to live happily ever after? AGAIN, WE DON’T KNOW!!! We haven’t read the book yet! 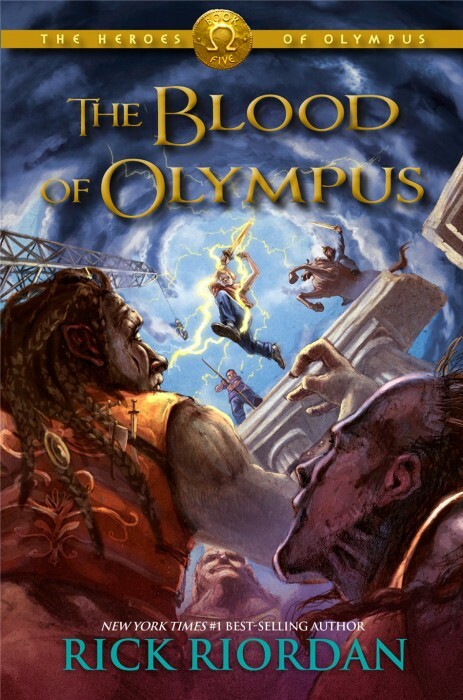 A HARDCOVER COPY OF THE BLOOD OF OLYMPUS! * T-shirts previously worn only to model for Kidsmomo photos. After showering and being squeaky clean! We swear! Enter before November 1st! See official rules. 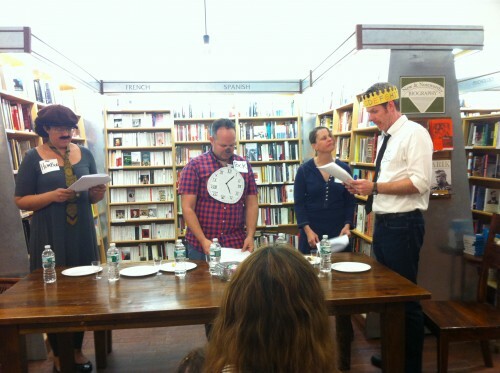 Phantom Tollbooth: Event Recap & Book Giveaway! Have you ever traveled to Digitopolis, Dictionopolis, or the Mountains of Ignorance? Have you perchance ever met a Humbug or a watchdog named Tock? Or maybe you’ve eaten your words, or perhaps sampled some Subtraction Stew? If you’re nodding your head right now, then that means you’re part of an ever-growing club where all the members greet each other like long-lost family — even if they’re total strangers. That’s because the club is people who have read and loved The Phantom Tollbooth, written by Norton Juster and illustrated by Jules Feiffer, and we are all united in our fierce devotion to the book. Recently, we attended an event put on by some extra dedicated members of the unofficial Phantom Tollboth fan club — who just happen to be famous authors! 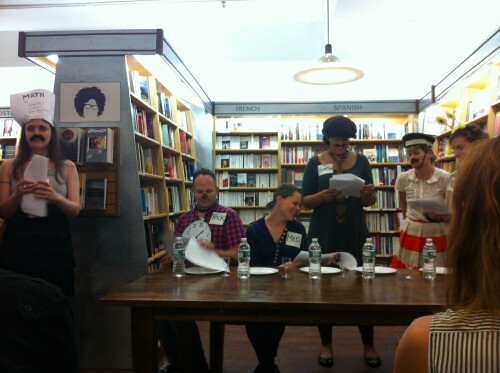 They gathered at McNally Jackson bookstore in New York, took on roles from the book, and performed a scene from the story. 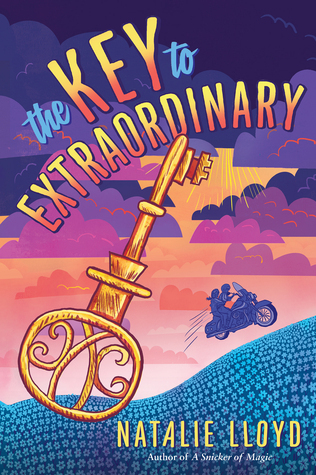 After the performance all the authors answered questions from the audience, and some editors from Random House (the publishers of The Phantom Tollbooth) divulged behind-the-scenes info about how the book came to be. 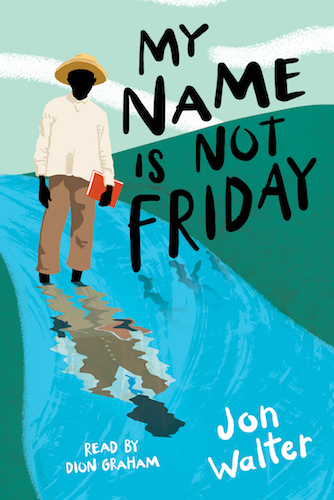 For example, did you know that Norton Juster wrote The Phantom Tollbooth as a form of procrastination because he didn’t want to work on a different nonfiction book that he was getting paid to write? And guess what — he never did end up finishing that other book! We wish you all could have been there with us for this one-of-a-kind event. But since we unfortunately don’t possess the power to transport people through space and time, instead we’ll just offer the next best thing: a book giveaway! 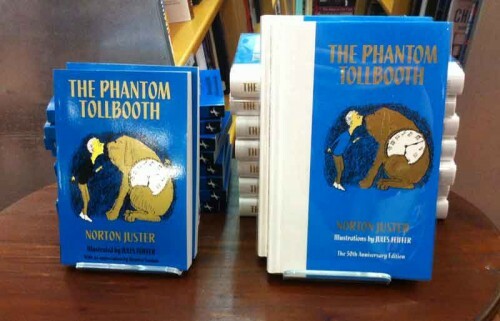 ENTER FOR A CHANCE TO WIN A COPY OF THE PHANTOM TOLLBOOTH, AUTOGRAPHED BY NORTON JUSTER! Enter before July 1st! See official rules. Kidsmomo End of Summer Sweepstakes! The new school year may be right around the corner, but don’t let that ruin the rest of your summer! 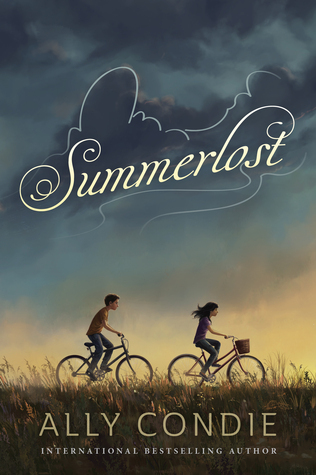 It’s time for an End of Summer Sweepstakes! In other words, FREE BOOKS, people! Enter below for a chance to win our prize pack. NOTE: You guys can enter our sweepstakes yourselves, but a lot of the other Giveaway Hop sweepstakes are not specifically for kids. 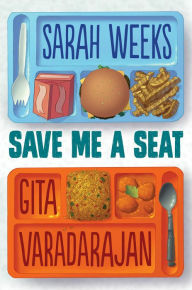 However, they are ALL related to books for kids, so please grab a parent and check out these sweeps together! And also leave a comment and let us know: What are YOU reading right now, over your summer vacation? ONE BIG WINNER WILL RECEIVE A PRIZE PACK! Enter before September 7th! See official rules. 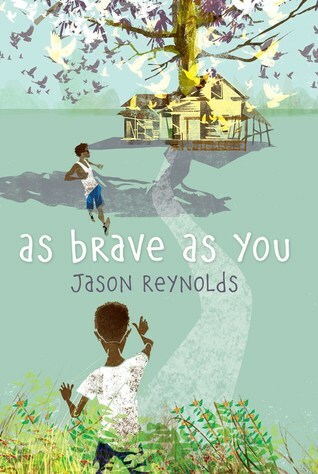 A few days ago, we posted about the 2013 Newbery Award winners — aka only the mildly, slightly BEST BOOKS EVER of last year! 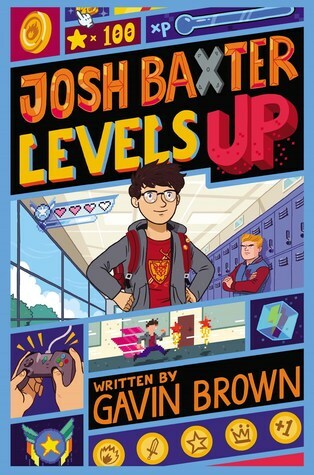 Well, we have some awesome news (because we are awesome): If you’ve been dying to get your hands on those award-garnering bad boys since the winners were announced, now’s your chance! 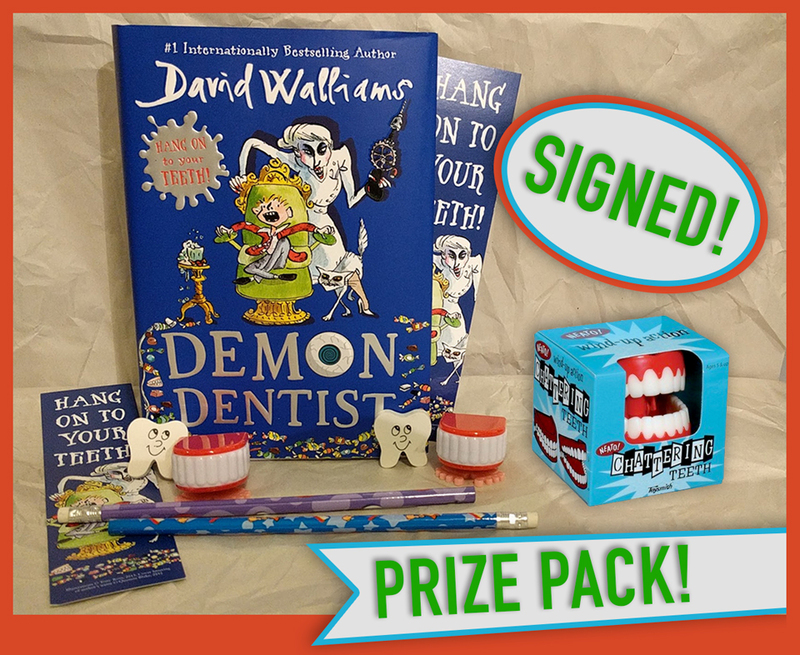 We’ve got a prize pack featuring all four books! 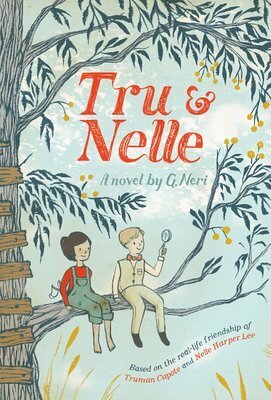 ONE BIG WINNER WILL RECEIVE A NEWBERY PRIZE PACK! Enter before March 1st! See official rules. DRAMA is about putting on a school musical. Did you work on stage crew or act in plays growing up? 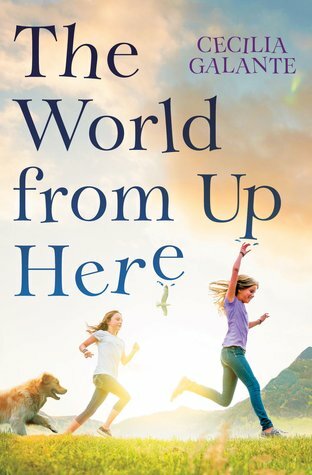 Did you base any parts of the book on your real life experiences? I never did stage crew, but I did some acting in middle school and sang in the chorus in all of my school musicals in high school. It was really fun! All of this filtered into DRAMA. Working on a giant, multi-faceted project with a group of people is challenging and rewarding, and there are always stories to tell afterward! You previously illustrated the graphic novel versions of The Baby-sitter’s Club books. 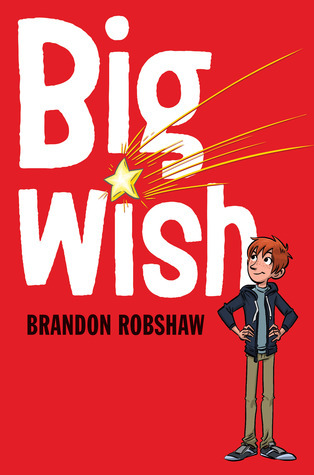 If you could do the graphic novel version of any other book, movie, TV show, play, song, etc., what would it be? My favorite pieces of art and literature tend to work perfectly in their original mediums (for example, how could you adapt Pee-wee’s Big Adventure into anything other than the film it is? ), but that’s not to say it wouldn’t be fun to try! Maybe a graphic novel version of Roald Dahl’s Charlie and the Chocolate Factory? 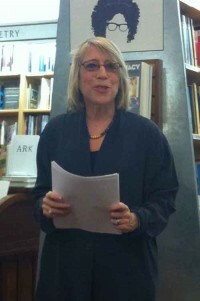 Or the Ramona books. Anything with lots of kids would be a blast to draw. I once drew a short comic called Small Steps that was an adaptation of the song Monochrome by The Sundays. It’s about the first spacewalk. Music is a big inspiration for me, although it’s not always quite that literal. Kids in action! I love to draw them running around, jumping over things, playing, dancing… maybe I was an animator in a past life. Or maybe I just read so much Calvin and Hobbes growing up, that I wanted to draw kids that looked like they were having that much fun, too! And that’s the scoop, right from Raina! 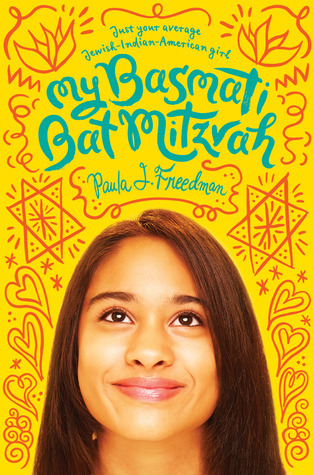 You can definitely get a sense of how much energy, excitement, and (of course) drama she brings to the new book — but nothing compares to actually reading DRAMA yourself! So go out and get yourself a copy, or enter our sweepstakes below for a chance to win!